Want More Customers? You Need a Website! 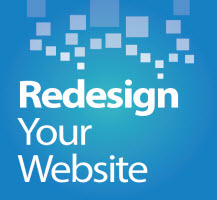 Do you need a Website Makeover? We can transform your older site to a new, customer friendly polished website! 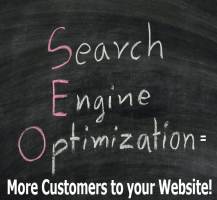 SEO - Search Engine Optimization is necessary to get your website found on the search engines such as Google, Yahoo and Bing. Bottom line - If you have a business, you need a Website. "For years I thought that I could do fine without a website for my Home Loan/Finance business. Business was okay, but I was not convinced...I finally decided to have a site designed and I really don't know how I did without it all these years. The process was simple and painless and now I have more leads that I can handle. Take it from me - maybe I am old-school or just a little stubborn but my eyes are now open. I had to decide whether we should continue business as usual or change with technology and I am so glad we did! Thanks BizMDs!" Hours You can reach us in the office by phone: Monday - Sat 9am - 7pm You can reach us via email anytime!